Powersports Listings Mergers & Acquisitions (PLMA), the professional Powersports Industry dealership brokerage, specializes in intermediary services to buyers and sellers of Harley-Davidson and Powersports dealerships. PLMA announces the closing of the sale and ownership transfer of Richardson Motorsports Yamaha Polaris BRP. RICHARDSON, Texas, January 11, 2018	(Newswire.com) - ​Richardson Motorsports (RMS) has been serving the Dallas-Ft. Worth Metroplex powersports community since 1987. 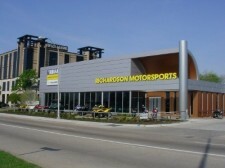 Conveniently located directly along busy US Hwy 75 (Central Expressway), the dealership offers the full line-up of powersports vehicles representing three of the top manufacturers in the industry – Yamaha, BRP and Polaris from a spacious and eye-catching 12,000 sf showroom, with an additional 11,000 sf storage warehouse. Jerry Kwiecien, RMS owner of nearly 20 years, made the decision to retire and contacted Jerry Szopinski of Powersports Listings M&A to explore the potential sale. With the competitive landscape of the greater Dallas, Texas powersports market, Kwiecien required a confidential marketing campaign that would reach beyond the pool of other area powersports dealers for qualified purchasers. David Clay, PLMA's Chief Information Officer, prepared the comprehensive offering package and the PLMA team put their proprietary sales process in motion. The opportunity caught the eye of Jay Bell, a Dallas area entrepreneur and auto sales executive. After several weeks of negotiation, a deal was struck and Jay along with partner Anthony Paulauskis formed TXA Powersports, Inc. as the new Yamaha, BRP and Polaris owner and operator. TXA Powersports, Inc. took over operations of Richardson Motorsports on Jan. 10, 2018. I had faith in the abilities of Powersports Listings M&A to help me to reach my goal of retirement. Job well-done! Jerry Kwiecien stated, "I had faith in the abilities of Powersports Listings M&A to help me to reach my goal of retirement. Job well done!" Powersports Listings Mergers & Acquisitions (PLMA), the professional Powersports Industry dealership brokerage, specializes in intermediary services to buyers and sellers of Harley-Davidson and Powersports dealerships. The company is an independent affiliate of the Sunbelt Network, the largest and most professional business brokerage network in the world servicing privately held companies. The PLMA difference is that its clients get the benefit of a true professional firm with an unmatched domestic and international footprint that reaches far beyond that of an individual broker. Our Sunbelt affiliation provides us with proprietary technologies, world-class training, and the scale of the organization which sells more businesses than any other in the world. We provide all of this to Harley-Davidson and Powersports dealership owners on a success fee basis. The PLMA team has over 50 years of combined Powersports Industry experience and our firm has arguably handled the successful sale of more Powersports Dealerships than any other in the world. Our relationships run the spectrum from the Industry Manufacturers, Distributors, Dealers, and Consumers which keeps us highly networked in order to identify strategic buy/sell opportunities. At the same time, our network and technology spans worldwide to assure that the highest and best buyer may be located whether currently in the Motorcycle Industry or from some other line of business.